This past August The Cambodia Daily wrote an article that featured the work we’re doing in Cambodia. 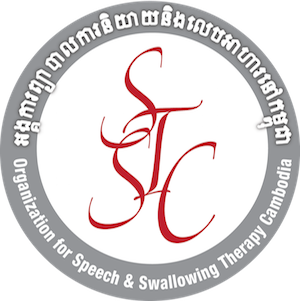 Our mission in Cambodia is simple and direct — we provide training to Cambodian doctors to help them better treat adults who suffer from speech and swallowing disorders. These disorders are typically the result of stroke, other neurological diseases, or head trauma. 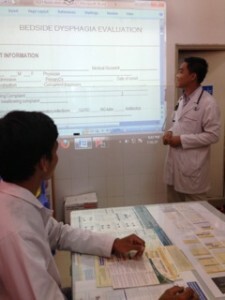 Cambodian universities do not, at this time, offer a dedicated speech therapy program. So there was a recognized need where we could help to fill in the gaps by offering intensive training to medical professionals. Right now our focus is on training doctors at the Khmer-Soviet Friendship Hospital, and we will expand to other hospitals this year. Ultimately we would see a education at the University level for Cambodian speech therapists.